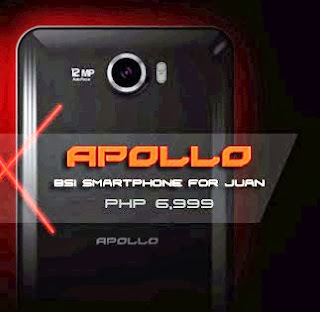 Cherry Mobile Apollo is among the current new release of Cherry Mobile, featuring the BSI technology on its camera, the CM Apollo is priced at Php 6,999 (SRP). Sporting with high resolution screen (1280 x 720) pixels on HD IPS panel, and the latest MediaTek Quad Core processor, which is known to decode 1080p HD videos. Given a plus on 1GB of RAM to accommodate true multitasking features. 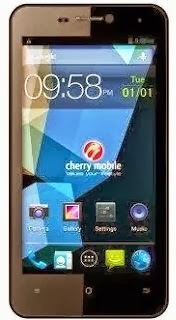 The Cherry Mobile Apollo doesn't come on an outdated software, the Jelly Bean 4.2 OS is enough to enjoy the leisure of app and games compatibility. The 12MP camera auto-focus with flash is also a sure win, specially if your a wannabe photographer, and not to mention the 5MP front camera is also a thing to look at. Available now nationwide, mostly first on Online stores, then on local Cherry Mobile stores.